1. What are the advantages of a Power Wash Industries System? PWI has put together one of the best engineered pressure washing systems on the market. Our commercial packages (Pro I, Pro II, Pro III) each come with a true two gun system on board. (Don’t be fooled by other so called 2 gun pressure washers that are poorly engineered) We only manufacture commercial grade equipment with the contractor in mind. Our training and marketing package that comes with each system is industry proven. 2. What does Power Wash Industries do? To put it simply we expand your existing business into the highest profit markets in the pressure washing industry. We add a profitable pressure washing division to your company. 3. Where did Power Wash Industries originate? Morris “Mo” Morgan of Powerline Industries realized a huge need in the industry for a commercial grade system that had the right tools and training to be successful in the Pressure washing arena. He saw too many programs out there that offered solutions with no actual experience and or quality equipment. 4. How long has Power Wash Industries been around? Power Wash Industries was formed as a new division of their parent company Powerline Industries, Inc in January of 2008. Powerline Industries has been manufacturing and distributing pressure wash equipment and cleaning supplies since 1972. 5. What sets Power Wash Industries apart from the other pressure washing programs out there? 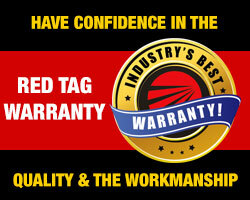 Power wash industries offers the complete package. We have over 30 years of industry experience and some of the best equipment and marketing knowledge around. We know that we have the best to offer. Our success is determined by yours. 6. How can Power Wash Industries build my core business? We will teach you how to successfully add a pressure wash division to your existing business with the right equipment and the right training . More importantly the marketing of your new pressure wash division will immediately set your business apart from your competition. 7. What do I really get with a Power Wash Industries system? You get a turn key ready to go Pressure washing system with all the training support and marketing to successfully launch a Pressure washing division to your company. 8. How do I take delivery on a Power Wash Industries system? After we build and place your logo on your equipment we load the system on a semi truck. If you do not have access to a loading dock most companies have a tilt bed tow truck meet the semi at delivery location and back to the semi and winch it off. The whole unload takes about ten minutes. 9. How soon can I make money with the Power Wash Industries system? Realistically you can start generating income right away. Our marketing system will go into effect right after your 2 day boot camp which will generate business from day one. 10. How much money can I make realistically? A realistic income with a pressure wash division would be between 55K to 65K dollars. Some will make more and some will make less. Either way the opportunities are out there to generate huge profits for your existing business. 11. Do I need licensing & insurance? On the equipment itself you will need to register the trailer with the department of motor vehicles. If you are currently operating as a business you will not need additional licenses but check with your insurance agent for your business to see if your coverage will cover the new equipment. 12. Is the Power Wash System safe for my employees and the environment? During your two day boot camp training you will be given hands on equipment safety training along with a Safety and Servicing video for your employees to watch before certifying on the equipment. You will also receive extensive Environmental training geared toward solutions in protecting our environment. 13. What kind of services will I be able to provide? The services you provide will rely heavily on what you want to do to compliment your existing business. Reality is that there are at least a hundred plus different applications where a commercial grade pressure washer is needed. (House Washing, Surface Cleaning, Gum Removal, Disaster Cleanup, Deck Restoration, Cement Restoration, Commercial Cleaning, Parking Lots , Store Fronts, Graffiti etc.). 14. What type of vehicle is needed to tow each Power Wash Industries System? Most will want at least a 3/4 ton pickup. The PRO 1 is the lightest of the systems. The PRO 2 ( Full Water Recovery) and the PRO 3 (Enviro) are a bit heavier. You will want to let us know what you intend to haul with when you get these systems. 15. Does Power Wash Industries offer parts, chemicals, service? Yes. Through our parent company, Powerline Industries, we offer a full line of equipment and specialty parts. They also offer a full line of cleaning chemicals that are proven in the pressure wash industry over the last 30 years. 16. Does Power Wash Industries offer training? Yes. As part of our program you will attend an extensive 2 day training we call boot-camp. Each month we will have follow up training that will require a computer with internet access. Recordings of these trainings will be available to all PWI customers. We will also have available support reps to assist with questions that may arise. 17. Does Power Wash Industries offer Financing/ Leasing? Yes we do. Power Wash Industries has partnered with several financing institutions. Each of the companies are prepared and understand your specific needs for financing or leasing our systems. They can get you approved in a very short period of time. All can assist you in taking advantage of the perks that come with leasing your system.